Visayan retail giant Metro Retail Stores Group, Inc. (MRSGI) has completed the takeover of a department store previously owned by the partnership of the Ayala and Tantoco families that will expand its presence in Quezon City. The Gaisano-led retailer recently inaugurated its 48th store — a two-storey, 10,920-square meter (sq.m.) department store — at the UP Town Center, the company said in a statement on Thursday. “We are excited to grow our presence in Quezon City, which presents a lot of opportunities with its dynamic economy and large population,” MRSGI Chairman and Chief Executive Officer Frank S. Gaisano was quoted in the statement as saying. This is part of the department store assets with a combined gross floor area of 25,000 sq.m. that MRSGI had previously acquired from SIAL Specialty Retailers, Inc., a joint venture between Ayala Land, Inc. and Store Specialists, Inc.
MRSGI is opening another department store — also formerly under SIAL’s Wellworth brand — at the Fairview Terraces Mall, also in Quezon City. 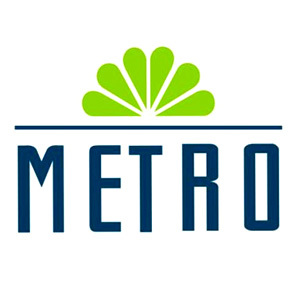 Metro UP Town Center is offering a variety of general merchandise such as apparel and fashion accessories, appliances and electronic, furniture, home ware, hardware, and travel items. MRSGI President and Chief Operating Officer Arthur Emmanuel credited the store associates for a smooth transition between the acquisition and the opening of the store. “Our new Metro department store also underscores the dynamic alliance we have forged with Ayala Land throughout the years, as we look towards mutual growth and build on our shared passion for excellent customer service,” Mr. Gaisano said. MRSGI had previously sealed a deal with ALI for the establishment of its stores in four new Ayala commercial developments in Bacolod City, Negros Occidental; Mandurriao, Iloilo City; Cebu City; and Pasig City. In the next five years, the retailer is targeting to double its gross floor area from 400,000 square meters, translating to the opening of additional 50 to 70 stores, on top of the existing 46 stores, Metro Retail Vice-President for Business Development Joseph Conrad M. Balatbat said in November. This year, MRSGI is opening seven new stores in Luzon and Visayas that will add approximately the midpoint of the planned 36,000 to 60,000 square meters of gross floor area. MRSGI’s net profit rose at an annual clip of 20.6% to P758.6 million last year. Net sales climbed 13.9% year-on-year to P32.3 billion, with same-store sales growth at 8.8%. Shares in MRSGI shed seven centavos or 1.83% to close at P3.75 each on Thursday.